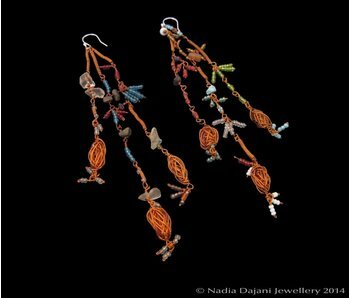 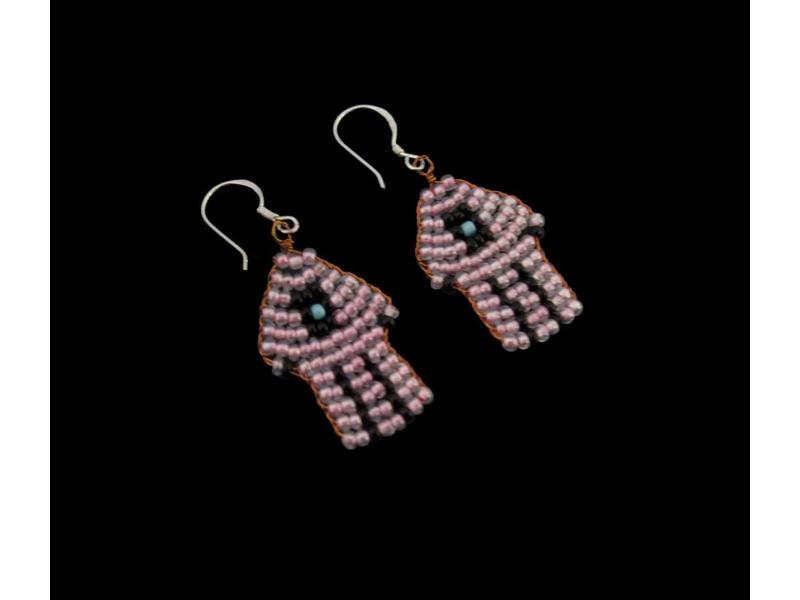 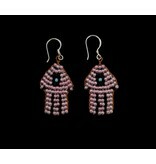 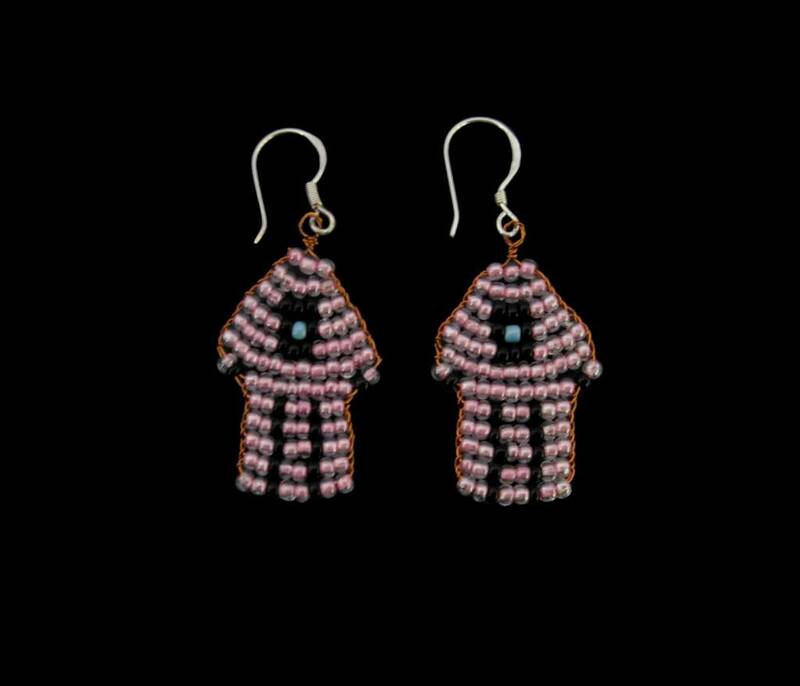 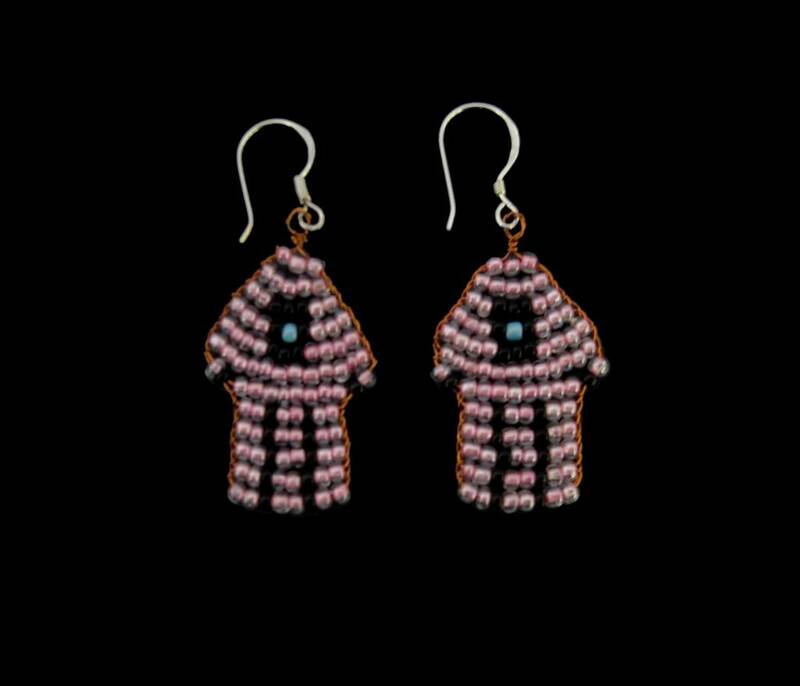 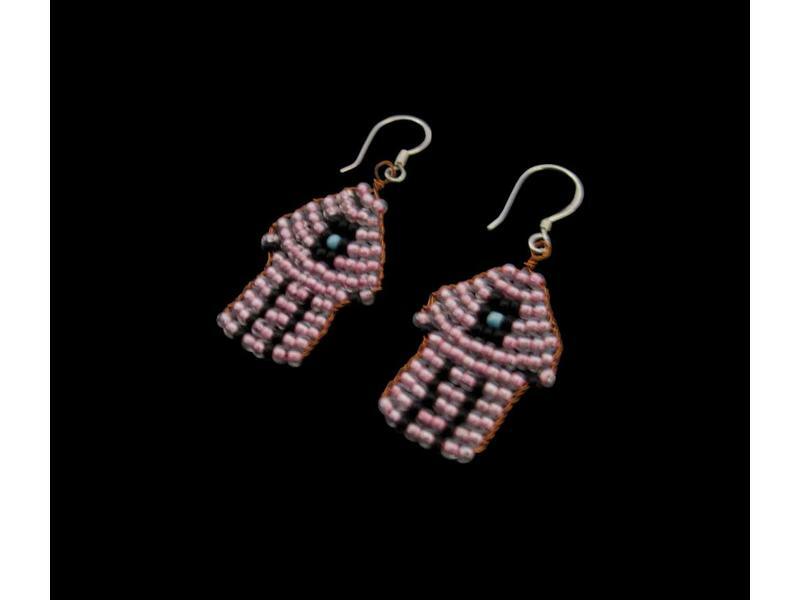 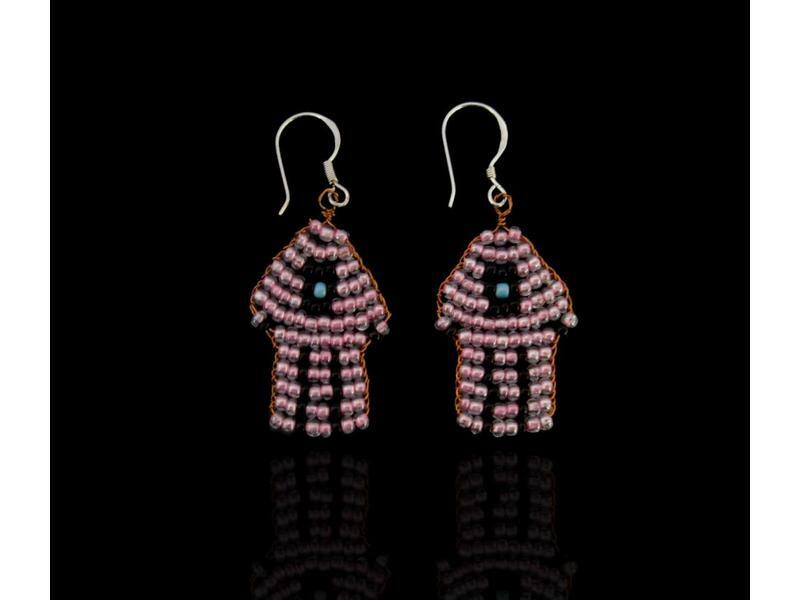 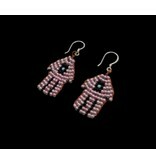 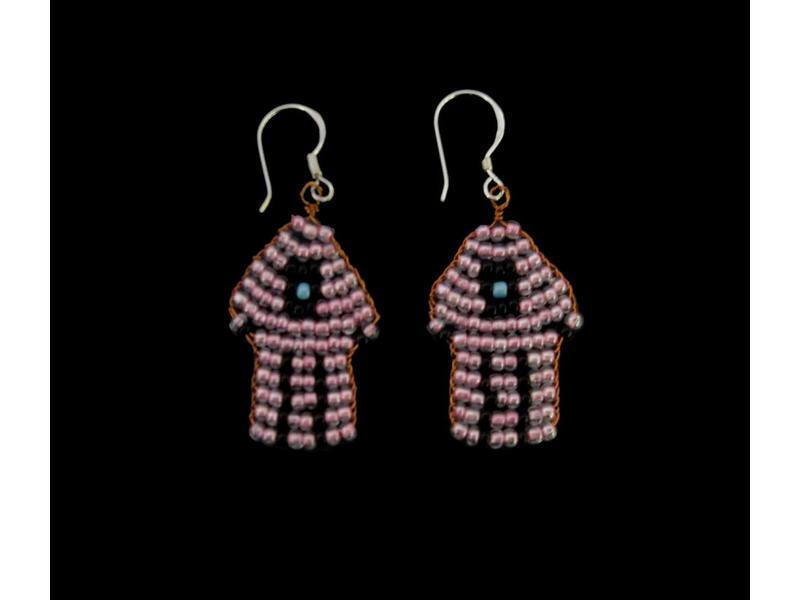 Hand of Fatima earrings made out of fine copper wire and glass beads. 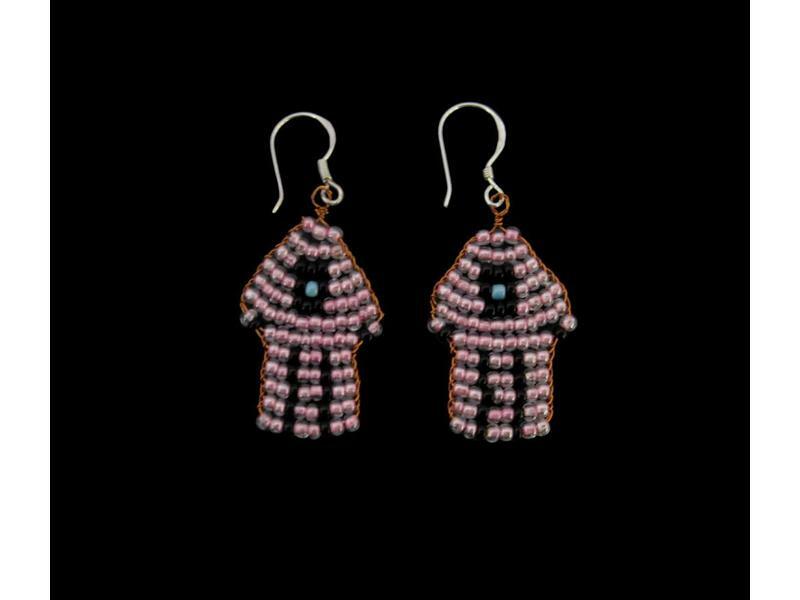 One of the most popular Body Guards in the Middle East, the Hand of Fatima is believed to bring protection and good fortune to its owners and to endow them with virtues of patience and faithfulness. 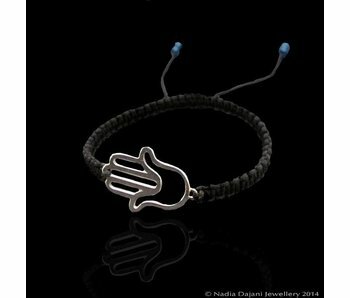 The Hand of Fatima as well as the turquoise are considered to be symbols for protection and against the evil eye.